If you require a press tool repair or service, we will endeavour to get your tool repaired or refurbished as quickly as possible. Our experienced tool makers can dismantle your tool, diagnose any problems and replace parts as necessary, with a quick turnaround when needed. We will work with you to ensure your tool is working properly and advise on any improvements or replacement parts needed. 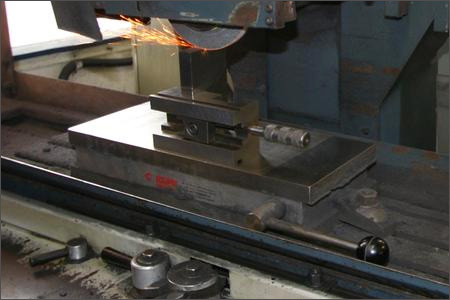 Our expertise in tool making and design is often called upon to repair and service press tooling and we offer a regular re-grind service to ensure your tools are always working as they should be. Please feel free to call us at our office in Hertfordshire if you would like to discuss your press tool maintenance.